A collection of 13 stories from one of the most influential American writers. Includes: The Tell-Tale Heart, The Cask of Amontillado,The Masque of the Red Death, The Raven, Annabel Lee, Facts in the Case of M. Valdemar, Ulalume, The Black Cat, The Bells, The Pit and the Pendulum, The Fall of the House of Usher, The Purloined Letter, & The Gold Bug. Frankenstein is a masterpiece of nineteenth-century Gothicism and the prototype of the twentieth-century science-fiction novel. It was conceived in the Swiss Alps in mid-June 1816 after a conversation about bringing corpses to life provoked a nightmare, and was written over the next eleven months in largely morbid circumstances. Death and the terrors of childbirth–as much as Romanticism, a burgeoning awareness of unconscious drives, and contemporary ideas of atheism, the collapse of the social contract, and the corrupting influence of society on human nature–inform this story of a man (or monster) built by Dr. Victor Frankenstein and brought to life by electricity. Late one night, exploring her father’s library, a young woman finds an ancient book and a cache of yellowing letters. The letters are all addressed to “My dear and unfortunate successor,” and they plunge her into a world she never dreamed of–a labyrinth where the secrets of her father’s past and her mother’s mysterious fate connect to an inconceivable evil hidden in the depths of history.The letters provide links to one of the darkest powers that humanity has ever known-and to a centuries-long quest to find the source of that darkness and wipe it out. It is a quest for the truth about Vlad the Impaler, the medieval ruler whose barbarous reign formed the basis of the legend of Dracula. Peter Straub has spent forty years at the forefront of modern literary horror. This pair of stories represent his astonishing range and his ability to terrify, transport, and hold a reader hostage. Both stories crack the foundation of our reality and opens our eyes, taking us further and further into the darkness that normally remains deeply, and safely, hidden. A beautifully illustrated collection of stories from the hit podcast Lore—now a streaming television series—that combines fan favorites like “Unboxed” and “They Made a Tonic” with new tales to deepen the legends. It’s been almost a year since Makani Young came to live with her grandmother in landlocked Nebraska, and she’s still adjusting to her new life. And still haunted by her past in Hawaii. Then, one by one, the students of her small town high school begin to die in a series of gruesome murders, each with increasing and grotesque flair. As the terror grows closer and the hunt intensifies for the killer, Makani will be forced to confront her own dark secrets. Grave-robbing. What kind of monster would do such a thing? It’s true that Leonardo da Vinci did it, Shakespeare wrote about it, and the resurrection men of nineteenth-century Scotland practically made it an art. But none of this matters to Joey Crouch, a sixteen-year-old straight-A student living in Chicago with his single mom. For the most part, Joey’s life is about playing the trumpet and avoiding the daily humiliations of high school. Everything changes when Joey’s mother dies in a tragic accident and he is sent to rural Iowa to live with the father he has never known, a strange, solitary man with unimaginable secrets. At first, Joey’s father wants nothing to do with him, but once father and son come to terms with each other, Joey’s life takes a turn both macabre and exhilarating. 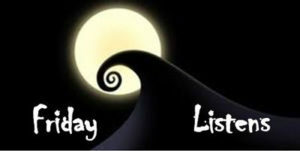 Need more spooky reads and listens? Visit the Edelweiss collection!